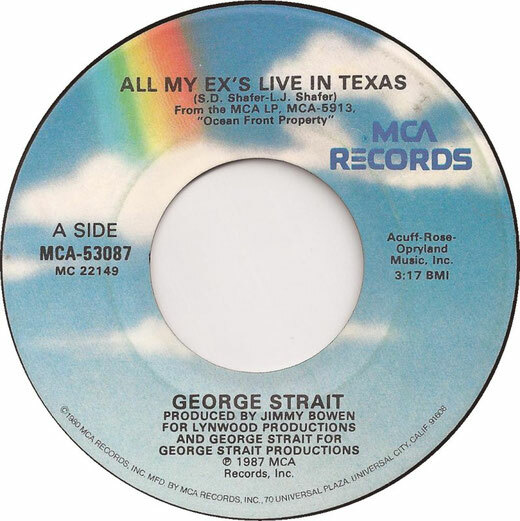 George Strait performs "All My Ex's Live In Texas"
"All My Ex's Live In Texas" is a song written by Sanger D. Shafer and Linda J. Shafer, and recorded by American country singer George Strait. It was released in April 1987 as the second single from Strait's album Ocean Front Property. 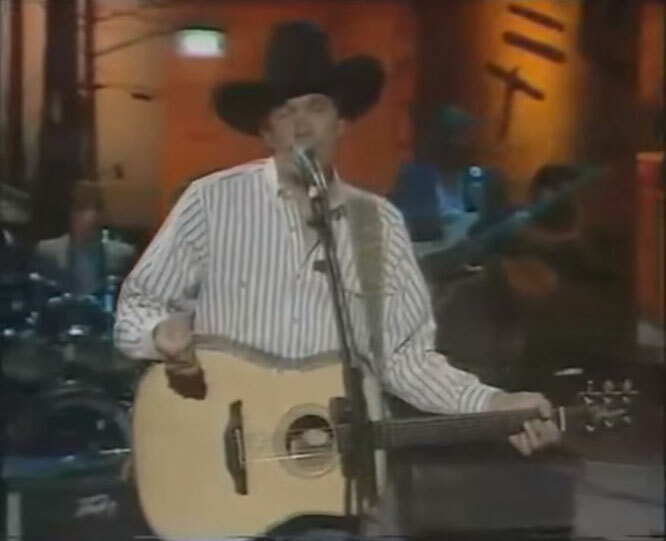 "All My Ex's Live In Texas" was nominated for Best Male Country Vocal Performance at the 1988 Grammy Awards. The narrator declares that all four of his ex-partners live in various towns in the state of Texas (e.g. "sweet Eileen in Abilene"), and that is why he lives in Tennessee. The song is known for its Western Swing style rhythm.